Located on the second floor, the Wellness Center offers over 100 pieces of cardio and strength training equipment as well as a stretching area and one of three group fitness studios. In addition, the Y offers exercise and wellness programs in the Wellness Center, along with a free equipment orientation, all free for our members. Our members often wonder "Where do I get started?" The Y's Healthy Living Program is offered FREE to members and will help you answer that question. Wellness Coaches at the Fond du Lac Family YMCA will work one on one with members to increase physical activity in a safe and engaging program. If you are a member new to exercise or have started and stopped various exercise routines or weight loss plans, this program is right for you. Get the support you need to meet your health goals! Make your first appointment now by stopping by or calling the Welcome Center at 920.921.3330. Youth ages 11 to 15 may workout with their parent or guardian in the Wellness Center, or participate in any group exercise class with their parent or guardian. Youth ages 11 to 15 may workout on their own in the Wellness Center, if they have completed the Youth Health & Wellness Program. You must be 16 or older to work out in the free weight area. For safety reasons, children under the age of 11 are not allowed in the Wellness Center,. What is the Youth Health & Wellness Program? This fun and informative program for youth ages 11 to 15 consists of three sessions that provide youth and teens with the knowledge and confidence necessary to safely exercise on their own in the Wellness Center,. 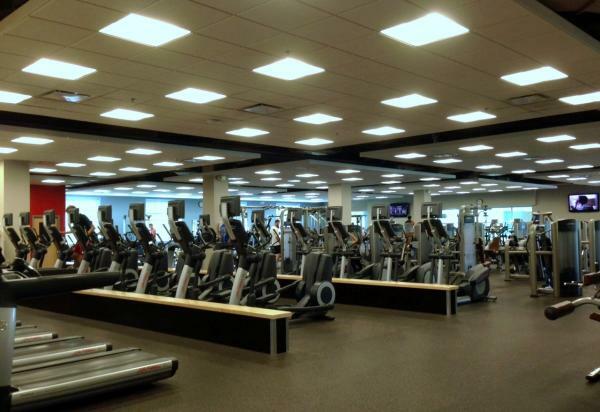 The YMCA Wellness Center offers a wide variety of cardio and weight training equipment, such as treadmills, bikes, ellipticals, free weights, strength training, and more. Our staff will take you on a guided tour of the Wellness Center, show you how to operate various pieces of equipment and explain what you need to know to help you feel comfortable utilizing the Wellness Center. Sign up in-person or contact our Welcome Center at 920.921.3330 to schedule your orientation. New members or current members may receive an orientation at any time.